When you’re on a mission to read that one book. 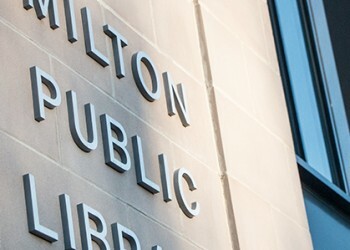 The Milton Public Library is part of the Old Colony Library Network, which means that our shelves extend beyond the walls of our building. Can’t find what you’re looking for here? Place a request through the form below and we’ll see if we can get it for you! You can also check the Old Colony Library Network to search area libraries, or you can search the Commonwealth Catalog to search statewide. For more assistance, you can also call our Reference Desk at 617-898-4964. We have access to a vast array of books. Explore our catalog and see if we have something you might want to check out!